Franklin J. 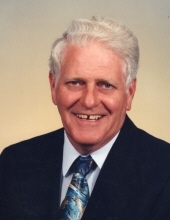 “Joe” Matney, 81 years of age passed away Sunday, March 24, 2019 at his home. He was born in Glen Rodgers, WV, April 30, 1937, where he lived with his grandparents, Nancy and Robert Bailey. At ten years of age, he came to live in Grundy, VA, with his parents Garnet and Millard Matney. Joe graduated from Grundy Senior High School in 1956 and Greer Shop Training in 1957 in Chicago, IL. He worked and managed Mescher Manufacturing Company, Inc. for fifty seven years, until it closed in 2014. He was a faithful Christian and lifelong member of Grundy Baptist Church. He always enjoyed playing golf and cards with his friends, Canadian hunting and fishing with family and friends when he was younger, particularly with his father-in-law and best friend Fred Mescher. Besides his parents, and grandparents, he was preceded in death by his sister-in-law Ann Mullins, son-in-law Lindsay Bridges, and granddaughter-in-law Dreama Matney. Surviving are his wife Chris Matney of Grundy, VA; children Gary Matney of Vansant, VA, Tammy Bridges of Morganton, NC, Susan Matney of Grundy, VA, David (Tammy) Matney of Morganton, NC, and special niece Penny (Gary Dean) Stiltner of Cedar Bluff, VA, special “sister” Nancy (Jerry) O’Donald; former daughters-in law Sharon Matney and Mary Matney. He is also survived by his grandchildren: Eric Matney of Bristol, Samantha (Eric) Slagle of Bristol, Briley Matney of Vansant, VA, Alan (Crystal) Bridges of Morganton, NC, Amber Bridges and companion Liz Cannon of Bat Cave, NC, Nicholas (Britany) Matney and of Ashville, NC, Amanda (Chris) Panza of Boone, NC, Matt (Mason) Matney of Lenoir, NC, Eric (Brittany) Stiltner, Sara (Albert) Hagy of Cedar Bluff, VA, Patricia Cox, Billy Duty; thirteen great-grandchildren, several nieces, nephews and friends. Funeral service for Joe Matney will be held at the Shortridge-Ramey Funeral Home Chapel of Grundy, VA, Thursday, March 28, 2019 at 11:00 a.m. Pastor David Peters officiating. Burial will follow in the Mountain Valley Memorial Park, Big Rock, VA.
Honorary pallbearers will be the past employees of Mescher Manufacturing Company, Inc., his past Sunday School Class at Grundy Baptist Church and his Card Club members. The family will receive friends at the Shortridge-Ramey Funeral Home Chapel, Wednesday, after 6:00 p.m. where a song service will be held at 7:00 p.m. The family of Franklin J. “Joe” Matney have entrusted the care of their loved one to Shortridge-Ramey Funeral Home of Grundy, VA.
"Email Address" would like to share the life celebration of Franklin Joe Matney. Click on the "link" to go to share a favorite memory or leave a condolence message for the family.